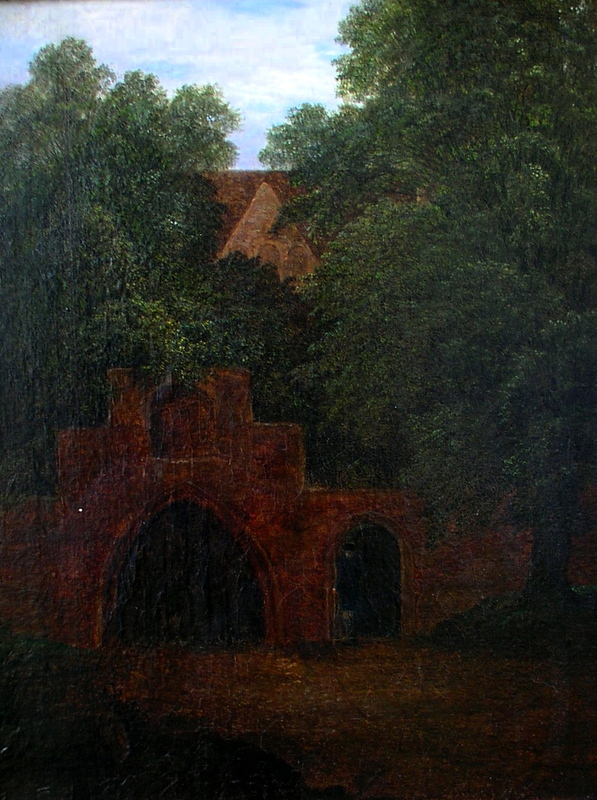 This painting of a Monastery entrance painted in the eighteenth century is very well accomplished, and has beautifully painted trees. 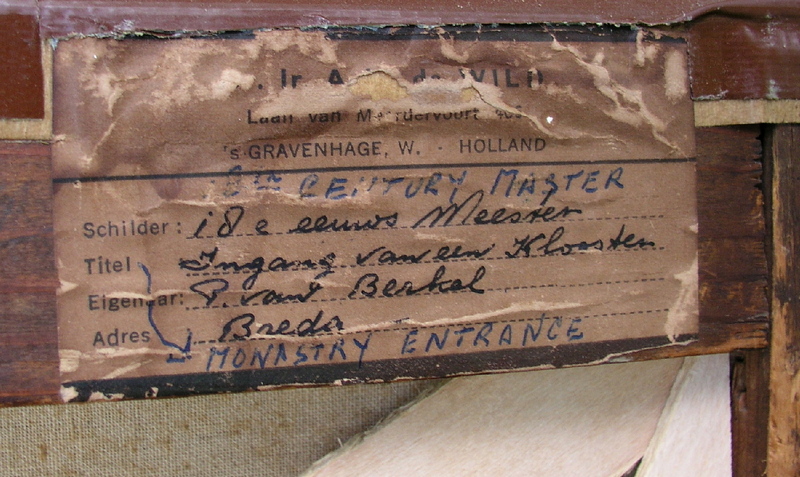 It is in excellent condition and has a very old label on the back from a gallery in Gravenhauge, Holland which states in Dutch with English translation that it is a monastery entrance painted by P. Van Bekal, who was an 18th Century master. I spent a few minutes looking on-line but could not find any information on the artist, but one might find something if they were prepared to seek further. The image size is 14" x 18". Framed it measures 20 1/2" x 25". 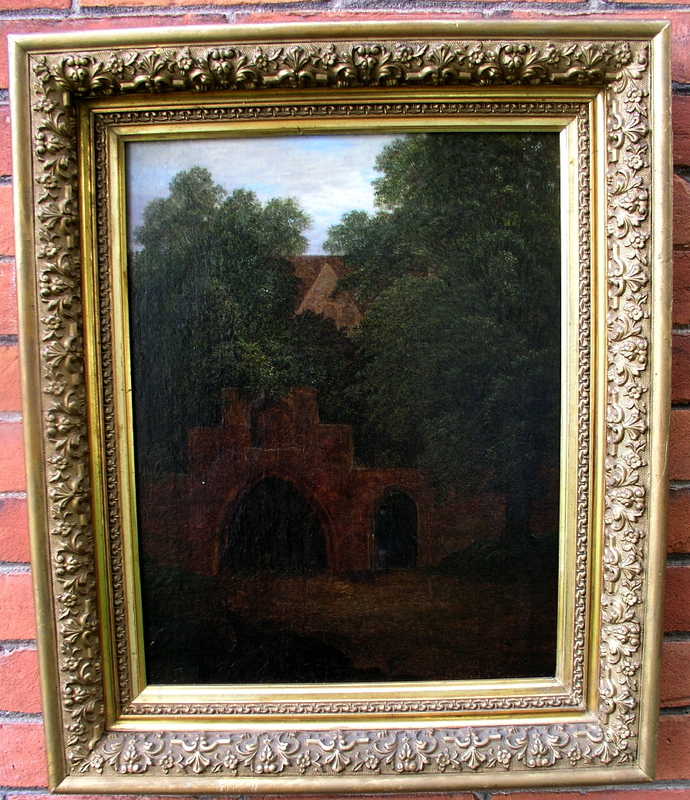 I photographed it as well as I could to show detail but it is very hard to capture on film. 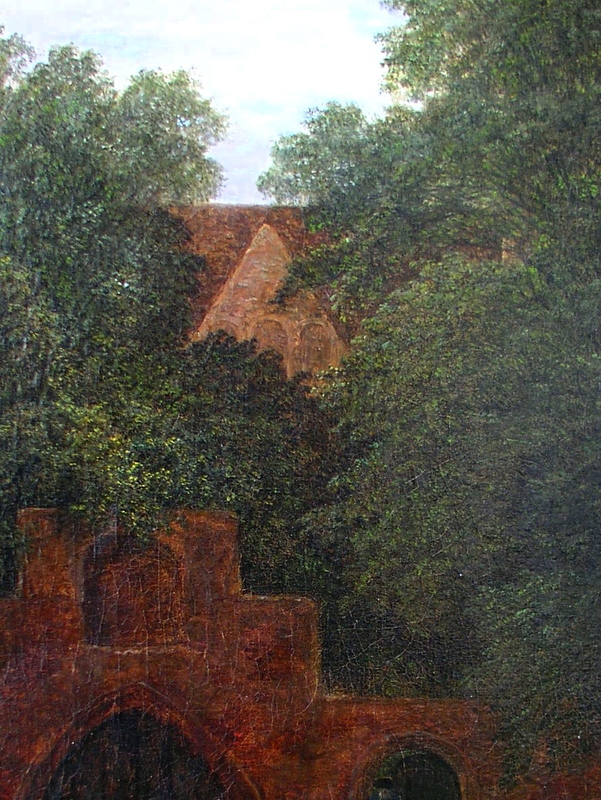 The image is quite dark and moody, and there is some "shine" on the dark varnish surface which makes it difficult to capture a true rendering. Stretched tight with no damage.